During 2014’s peak travel season for horse owners, the state of Colorado had more than 370 premises under quarantine for equine vesicular stomatitis. Surprisingly most of the equine events in the state went on without a hitch, and the final quarantines were released in late January. Vesicular stomatitis is a viral disease that is more commonly found in the southwestern United States, affecting mostly horses, cattle, and swine. It is identified by formations of lesions (blisters) typically found on the tongue, lips, and around the mouth or nose. The blisters can also be found on the udder or sheath or along the coronary band. Because the blisters will appear on the inside of the horse’s mouth or around the lips, they can cause the horse to lose weight due to difficulty eating or drinking, and just the stress from the pain. But Roehr explains that with an ample amount of time to heal, horses usually make a full recovery and will return to normal. Unlike highly transmitted diseases like equine herpesvirus, VS does not invade the bloodstream or neurologic system of the horse. Instead, it resides in the blisters and on the skin surface after the blisters rupture. There are only a few different ways that VS can be transmitted from horse to horse. The hardest way to prevent transmission is via vectors such as biting flies—black flies, sand flies, and Culicoides (biting midges). 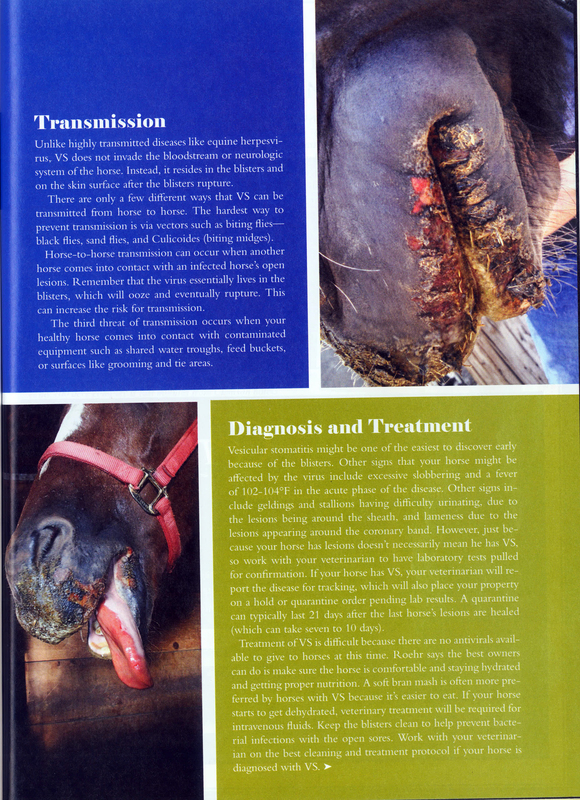 Horse-to-horse transmission can occur when another horse comes into contact with an infected horse’s open lesions. Remember that the virus essentially lives in the blisters, which will ooze and eventually rupture. This can increase the risk for transmission. The third threat of transmission occurs when your healthy horse comes into contact with contaminated equipment such as shared water troughs, feed buckets, or surfaces like grooming and tie areas. 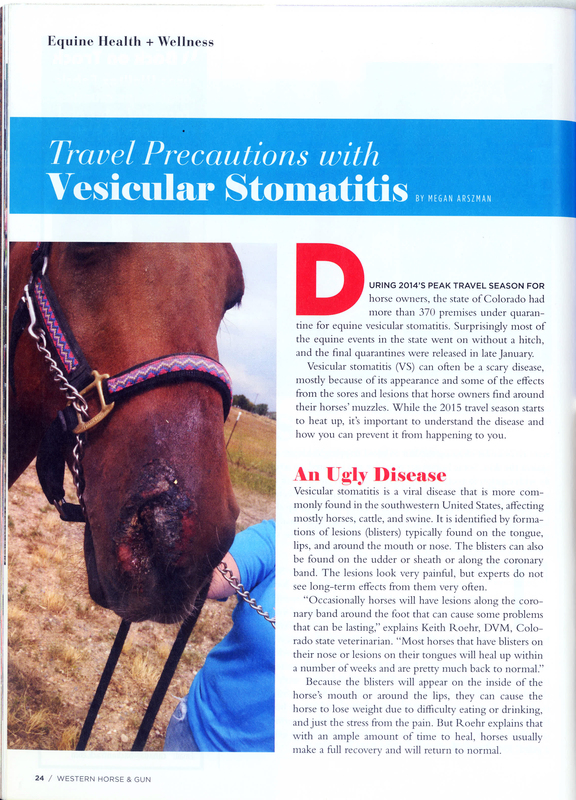 Vesicular stomatitis might be one of the easiest to discover early because of the blisters. Other signs that your horse might be affected by the virus include excessive slobbering and a fever of 102-104°F in the acute phase of the disease. Other signs include geldings and stallions having difficulty urinating, due to the lesions being around the sheath, and lameness due to the lesions appearing around the coronary band. However, just because your horse has lesions doesn’t necessarily mean he has VS, so work with your veterinarian to have laboratory tests pulled for confirmation. If your horse has VS, your veterinarian will report the disease for tracking, which will also place your property on a hold or quarantine order pending lab results. A quarantine can typically last 21 days after the last horse’s lesions are healed (which can take seven to 10 days). Treatment of VS is difficult because there are no antivirals available to give to horses at this time. Roehr says the best owners can do is make sure the horse is comfortable and staying hydrated and getting proper nutrition. A soft bran mash is often more preferred by horses with VS because it’s easier to eat. If your horse starts to get dehydrated, veterinary treatment will be required for intravenous fluids. Keep the blisters clean to help prevent bacterial infections with the open sores. 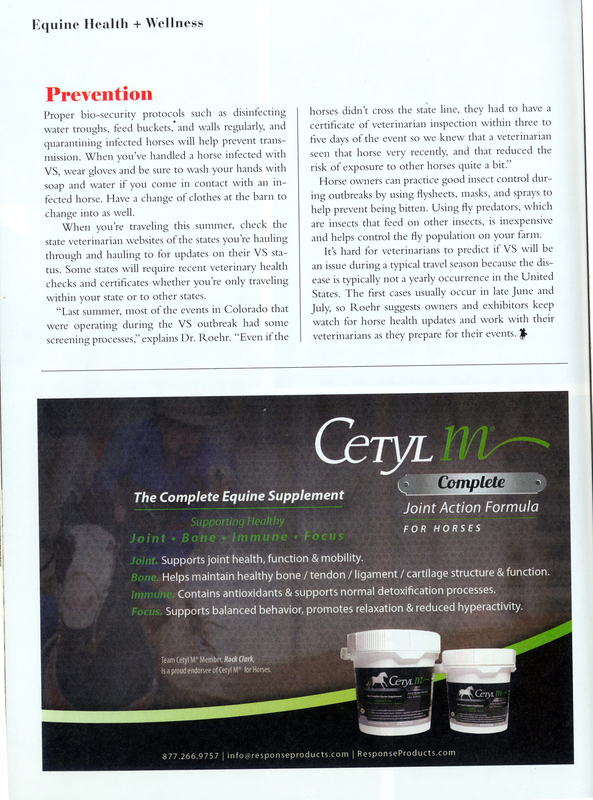 Work with your veterinarian on the best cleaning and treatment protocol if your horse is diagnosed with VS. Proper biosecurity protocols such as disinfecting water troughs, feed buckets, and walls regularly, and quarantining infected horses will help prevent transmission. When you’ve handled a horse infected with VS, wear gloves and be sure to wash your hands with soap and water should you come in contact with an infected horse. Have a change of clothes at the barn to change into as well. When you’re traveling this summer, check the state veterinarian websites of the states you’re hauling through and hauling to for updates on their VS status. Some states will require recent veterinary health checks and certificates whether you’re only traveling within your state or to other states. Horse owners can practice good insect control during outbreaks by using flysheets, masks, and sprays to help prevent being bitten. Using fly predators, which are insects that feed on other insects, is inexpensive and helps control the fly population on your farm. It’s hard for veterinarians to predict if VS will be an issue during a typical travel season because the disease is typically not a yearly occurrence in the United States. The first cases usually occur in late June and July, so Roehr suggests owners and exhibitors keep watch for horse health updates and work with their veterinarians as they prepare for their events. 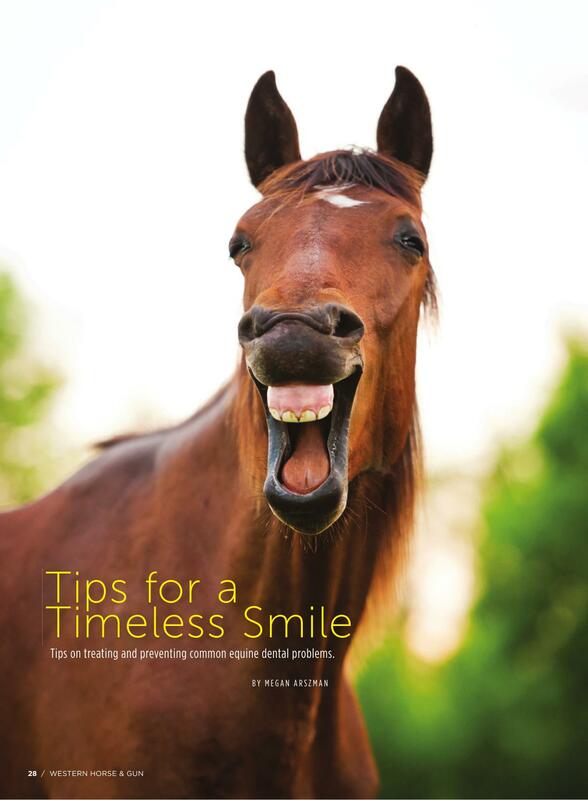 Growing up with horses you think you know all there is to know about horse care. But spend a few years as the photo editor for a horse health publication and you get a quick check of reality that you have a lot more to learn. But it was a great education and I loved learning everything I could about horse health, equitarians, etc. 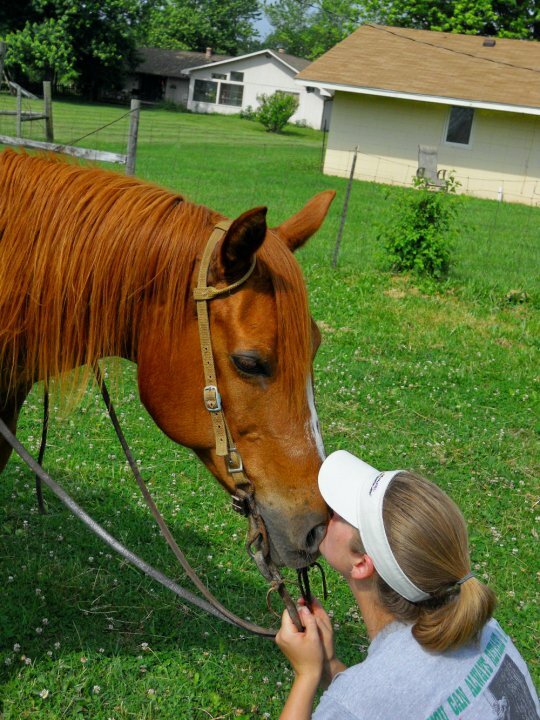 One of my first endeavors of writing for The Horse: Your Guide To Equine Health Care was one that was up my alley because I’m obsessed with taking care of my tack. The days will soon begin to get longer and the riding bug will start to bite–it’s almost time to dust off your saddle and deep clean your furry beast of a horse. But will your tack be ready to use after sitting in storage through the winter? Whether you ride Western, hunt seat, saddle seat, or sidesaddle, simple acts such as checking potential stress points in the leather, the soundness of your saddle’s tree, and hinges of bits are often left out of the routine. It’s often assumed that just because your tack got you through your previous ride without any problems, then it’s in good shape for the next ride. That assumption can get you in trouble if your horse jumps to the side quickly or you must pull him up at the last minute; one small crack in the leather could turn into a big tear at the wrong moment, and it could leave you and your horse separated, and maybe injured. Dennis Moreland of Weatherford, Texas, who’s been a tack maker for more than 30 years, says the one place most people tend to forget to look when checking Western saddles is the off-side of the girth. “They don’t see it every day,” says Moreland. He advises riders to check the leather everywhere it folds, especially in the latigo, where the straight part might look and feel great, but where it folds around the cinch buckle it could be dry and cracking. Chicago screws in headstalls should be tightened and replaced where needed. If you choose to use nylon, sheepskin, or leather girths, it’s important to check for any cracks that could be uncomfortable to the horse and compromise the integrity of the girth. Also check all the buckles to make sure there isn’t any corrosion. 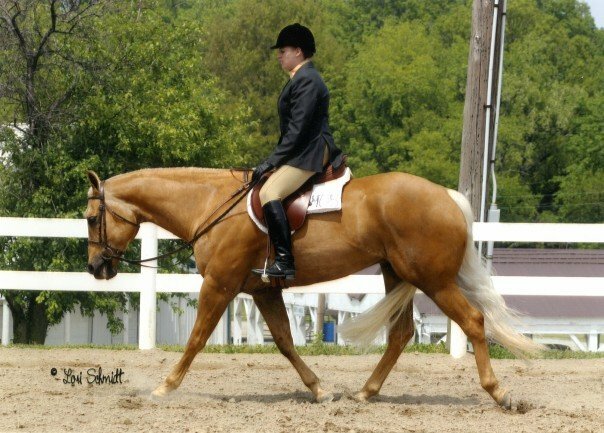 Two minutes is all it takes to give an overall tack check, says Baird, “Go up and down the reins to make sure everything is right and not stretched, go over the stud hooks to check if they are intact and not being pulled out, check for cracks, dry fissures, and dry rot.” If anything looks questionable, get it repaired. Set the saddle on a saddle rack and stand directly behind it. Put the back of the saddle against your belt. Also, you can put the saddle on the ground and gently try to flex the tree. If the saddle wiggles or flexes, you’ve got a broken tree. Bits also require a seasonal checkup because they are a direct communication line to your horse. “Bits will deteriorate faster not being used rather than being overused, because they tend to rust just hanging there,” says Moreland. Always remember to disinfect bits if they’re shared by horses to prevent transmitting diseases. Filling a bucket with a solution of chlorhexidine (Nolvasan) will make disinfecting easier with just one dunk. There is such a thing as too much cleaning when it comes to your saddle and tack. Too much cleaning, especially with an aggressive-type of glycerin soap, can dry out the leather, eat away at the stitching, and it might cause mold. “If you put your leather in a situation where it can grow mold, it will,” states Baird. Moreland suggests using a gentle liquid saddle soap, such as Fiebing’s Liquid Glycerin Saddle Soap, with a dampened sponge or piece of sheepskin to clean the leather. If your saddle has a lot of dirt caked on, use a scrub brush like a nail brush or toothbrush. Green mold can be easily killed and wiped off using a concoction of one part Listerine and two parts water in a spray bottle. Oiling your leather is not an everyday activity. Just as with cleaning, too much oil is not a good thing; it can make the leather spongy and break it down. In older tack stitched with flax thread, excessive oil can eat away at the stitching. (Tack makers use nylon thread now.) Use neatsfoot compound oil rather than pure oil because the pure oil can get rancid, and in the high humidity it will cause mold. It’s best to check with your saddle’s manufacturer for what they recommend. Stübben representatives, for example, recommend their Hamanol conditioner, which is made in conjunction with the company that tans their leather. Storing your saddle in a dark, unheated tack room is detrimental to the leather. The absence of light or heat causes mold to grow on your leather and could freeze it. Over the course of the winter, or even during the summer, if you’re not going to ride in it, it’s in your tack’s best interest to be in a controlled environment and not subject to temperature and moisture fluctuations. The state of your tack has an impact on your horse’s health and well-being, as well as your own safety. By just taking a few moments and applying a little TLC, you will apply the right preventive medicine that will keep you and your tack safe and healthy. Next week I’ll share some advice I learned from a veterinarian about keeping your horse healthy when sharing tack. You can read more by checking out TheHorse.com.